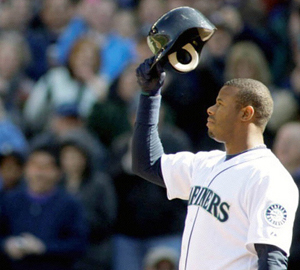 500 Home Run Club member Ken Griffey Jr. told his family and friends when the time came for him to retire, he would do so with quiet dignity A brief announcement to the media, and then he'd be gone. So it didn’t surprise anyone who knows Griffey that he made good on his promise on June 2. While his decision to retire mid-season left many Mariner fans and baseball pundits speculating about his motivation, the plain truth is that the man known as “The Kid” – who grew to be one of the greatest players in the history of America’s game – just knew it was time. "This has been on my mind recently, but it's not an easy decision to come by," said the 40-year-old superstar whose diminished role with the team was a disappointment after helped last year’s team become one of only a handful of teams to finish with a winning record (85-77) following a 100 loss season. 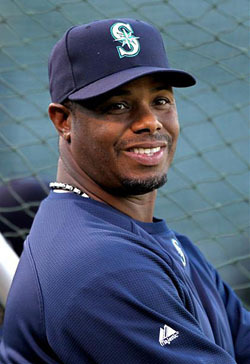 2009 was a magical one for Griffey, who used what has been called “the sweetest swing in baseball” to send three balls screaming into Safeco Field’s outfield stands during The Mariner’s last home stand to bring his career total to 630. Little did he know they would be the last home runs of his storied career. 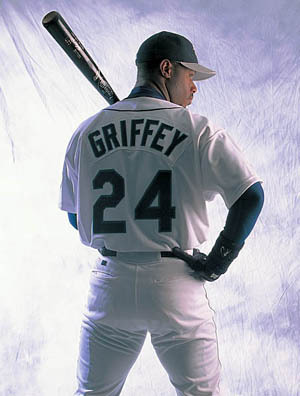 The player known to millions as “Junior,” because he had followed his dad Ken Griffey, Sr. into the league they both loved, debuted with the Mariners in 1989 after being selected with the first overall pick in the 1987 draft. His first MLB at-bat yielded a double and he homered the first time he stepped to the plate in the Seattle Kingdome. He went on to play his first 11 seasons in Seattle where he hit 398 home runs – including homering eight straight games to tie a major league record in 1993, and hammering out back-to-back 56 home-run seasons in 1997 and 1998. He later played for the Cincinnati Reds and the Chicago White Sox, before returning to end his career as it began…in a Mariners’ uniform. The Mariners honored Griffey before the June 2nd night game with video highlights of his career in Seattle and drawing his number 24 into the infield dirt. Mariners’ officials said a more elaborate celebration would be held later. "It's always tough for great superstars like Ken to make a decision to retire," said Mariners Chairman and CEO Howard Lincoln. "This has been his life for so many years. But he has made his decision and done things his way." Just the way he said he would.